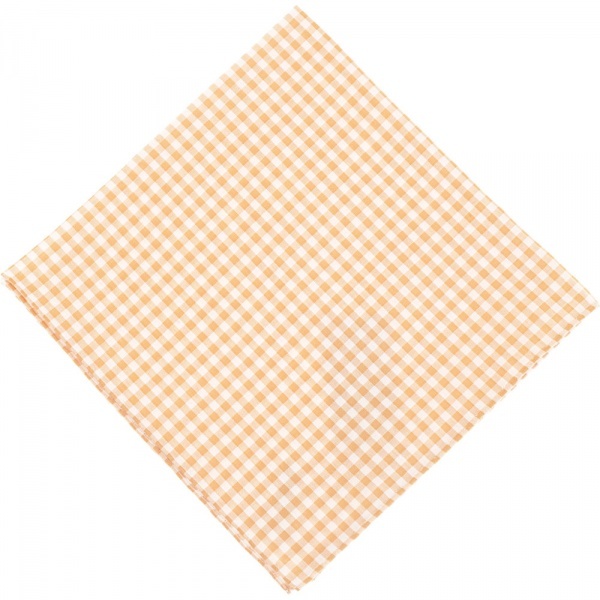 Add a touch of color to your look with this gingham check handkerchief by Simonnot Godard. The idea that your pocket square needs to be all matchy-matchy with your necktie or shirt is outmoded, and can occasionally make you look a bit of a feeb. Consider picking up a light gingham check square like this one, and pairing it with no necktie, and a light colored shirt for a brilliant casual look. Available at Barneys. This entry was posted in Misc and tagged Simonnot Godard. Bookmark the permalink.